Kate Braestrup serves as chaplain to the Maine (Game) Warden Service. She is the author of a novel, Onion, and several bestselling memoirs. She has written for O, the Oprah Magazine, the New York Times, More Magazine and the Huffington Post. She lives in Maine with her husband, Simon van der Ven, and their six children. Visit her website here. Kate Braestrup's life was transformed by the loss of her husband; now Kate faces the possibility that she may lose her son. As a young mother Kate Braestrup discovered the fierce protectiveness that accompanies parenthood. In the intervening years--through mourning her husband and the joy of remarriage and a blended family-Kate has absorbed the rewards and complications of that spirit. But when her eldest son joins the Marines, Kate is at a crossroads: Can she reconcile her desire to protect her children with her family's legacy of service? Can parents balance the joy of a child's independence with the fear of letting go? As Kate examines the twinned emotions of faith and fear-inspired by the families she meets as a chaplain and by her son's journey towards purpose and familyhood-she learns that the threats we can't predict will rip us apart and knit us together. 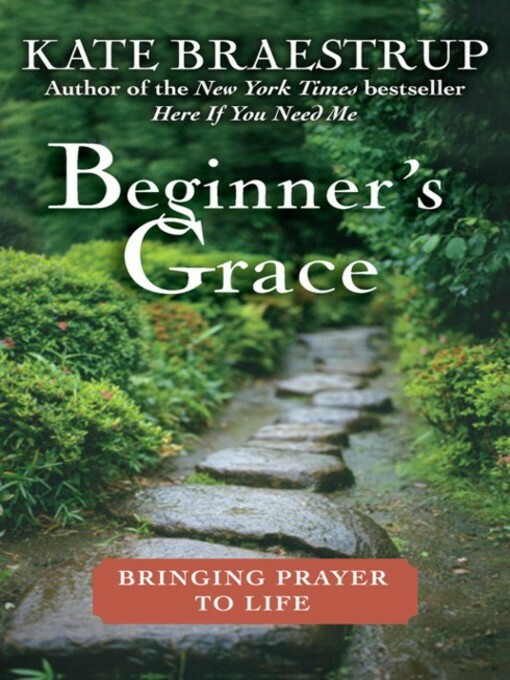 A welcoming modern guide to the simplest, most effective way to satisfy a universal spiritual hunger, Beginner’s Grace is for the religious and nonreligious and even irreligious in its generous, good-humored approach to spirituality. With its insight and warmth, Beginner’s Grace is sure to become a spiritual touchstone for people of all faiths. In her award-winning memoir Here If You Need Me, Kate Braestrup won the hearts of readers across the country with her deeply moving and deftly humorous stories of faith, hope and family. Now, with her inimitable voice and generous spirit, she turns her attention to the subjects of love and commitment in Marriage and Other Acts of Charity. As a minister, Kate Braestrup regularly performs weddings. She has also, at 44, been married twice and widowed once, and accordingly has much to say about life after the ceremony. From helping a newlywed couple make amends after their first fight to preparing herself for her second marriage, Braestrup offers her insights and experiences on what it truly means to share your life with someone, from the first kiss to the last straw, for better or for worse. Part memoir, part observation of modern marriage, and part meditation on the roles of God and love in our everyday lives, Marriage and Other Acts of Charity is a unique and unforgettable look into why, and how, we love each other, and proves yet again why Kate Braestrup's writing is "inspirational in the best sense" (New York Daily News). Ten years ago, Kate Braestrup and her husband Drew were enjoying the life they shared together. They had four young children, and Drew, a Maine state trooper, would soon begin training to become a minister as well. Then early one morning Drew left for work and everything changed. On the very roads that he protected every day, an oncoming driver lost control, and Kate lost her husband. Stunned and grieving, Kate decided to continue her husband's dream and became a minister herself. And in that capacity she found a most unusual mission: serving as the minister on search and rescue missions in the Maine woods, giving comfort to people whose loved ones are missing, and to the wardens who sometimes have to deal with awful outcomes. Whether she is with the parents of a 6-year-old girl who had wandered into the woods, with wardens as they search for a snowmobile rider trapped under the ice, or assisting a man whose sister left an infant seat and a suicide note in her car by the side of the road, Braestrup provides solace, understanding, and spiritual guidance when it's needed most. 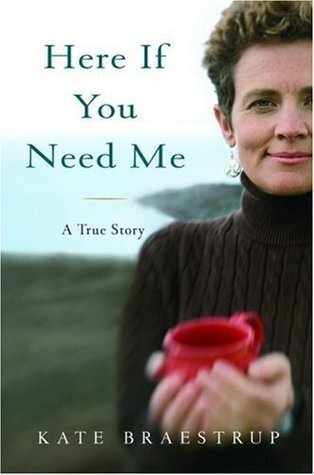 Here If You Need Me is the story of Kate Braestrup's remarkable journey from grief to faith to happiness. It is dramatic, funny, deeply moving, and simply unforgettable, an uplifting account about finding God through helping others, and the tale of the small miracles that occur every day when life and love are restored.